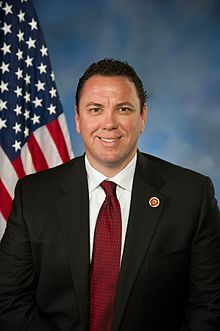 This week, U.S. Rep. Vance McAllister was faced with the scandalous release of a security video to his kissing his married aide, Melissa Anne Hixon Peacock, at his office in Louisiana. That would normally be the stuff of scandal, but it is even worse when you are married and ran as a religious conservative. 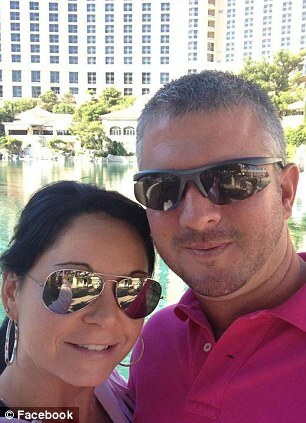 McAllister went public with an apology to everyone (except personally to Peacock’s husband who is now divorcing his wife). He asked forgiveness but is now demanding an investigation to potentially jail whoever revealed his conduct: a curious path for a self-proclaimed redemptive sinner. Many members may be quietly supportive of the effort to prosecute the staffer as a warning to their own staff that what happens in Congress stays in Congress. That contrition apparently does not extend to whomever is responsible for revealing his misconduct. McAllister had an aide (presumably a platonic aide) announce that he will request that House Speaker John Boehner demand a FBI investigation concerning the leak of a video from a security camera in McAllister’s Monroe District Office. Adam Terry, McAllister’s chief of staff expressed outrage and said “It’s a serious breach.” Just to be clear, he is taking about the person who exposed his boss’s misconduct not his boss. Adding to this bizarre scandal is the statement of West Monroe Minister Danny Chance of the Christian Life Church that it was McAllister’s Monroe District Office manager, Leah Gordon, who leaked the video. So much for leaving your fate in the hands of Chance. Chance appears equally upset with the disclosure as opposed to the congressman: “I’m not taking up for the congressman; what he did was wrong. But I just feel like there is a conspiracy to bring Vance down and destroy him. For someone on his staff to do that is wrong.” Wow. I expect moral outrage but not quite this form of moral outrage. McAllister secured his seat by running on Christian values and releasing a political ad featuring a star from Duck Dynasty. 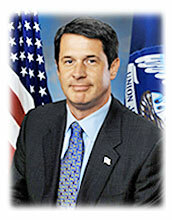 His campaign site promised that he was a man who was “taught at a young age the importance of faith, family, and hard work.” That included a promise to fight for “traditional marriage.” Of course, McAllister is in a state that reelected another family values politician, David Vitter, despite his frequenting prostitutes in Washington. McAllister stated “I’m asking for forgiveness from God, my wife, my kids, my staff, and my constituents who elected me to serve. Trust is something I know has to be earned whether your a husband, a father, or a congressman. I promise to do everything I can to earn back the trust of everyone I’ve disappointed.” I expect that will take a bit of work with Mr. Peacock. Back To Basics: Can You Spot The Problem? Amen…. What I do unto thee is warranted as I say to thee…. How cheap act done by him, he destroyed the life of two families. Can he bear that his wife will do same thing with another man? No one can agree with him because he did a mean act while he is on a big position. God loving and God following people make the same mistakes as everyone else. We are all sinners in one way or another. The difference is that true God believing people seek repentance and forgiveness from their creator and atheist easily forgive themselves. This could be a CoinTelPro-like leak, similar to the tactics used against Martin Luther King, Jr. If this leak was perpretrated by the FBI, Capitol Police, etc., the bigger crime is the leaker – not the hypocracy. Law enforcement agencies’ mission is not to police hypocracy but to investigate probable cause preceded by an actual crime. The “ends” don’t justify these “means” if this leak was perpetrated by law enforcement. This slippery slope provides cover for tyrants like J. Edgar Hoover to use government power to punish Freedom of Speech – outlawed by the First and Fourth Amendments of the Supreme Law of the Land.